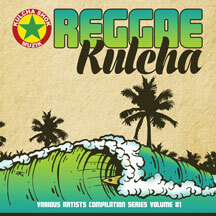 This is the first collection of Reggae Kulcha gems handpicked by longtime radio and TV presenter Lance-O. This is the first in a series of compilations called 'Reggae Kulcha' from Kulcha Shok Muzik, featuring Jahfe, Innasense, Rootz Underground, Bobby Hustle, First Hit, House of David Gang, I Nesta, Natty Remo, Hor!zen, Predator Dub Assassins, Arise Roots, and Barry & The Penetrators. All tracks are hand picked by longtime radio, TV presenter & artistic DJ Lance-O, founder of Kulcha Shok Muzik.